THE ONLINE AFGHAN RUBAB TUTOR | D.A.R.E. In 2002, John Baily’s research highlighted the fragile state of Kabul’s art music, which forms part of Afghanistan’s intangible cultural heritage. The AKMICA tradition-bearers’ education initiatives resulting from Baily’s research have successfully reversed this trend. 2006 a second school was opened in Herat city. At present the two schools have 157 students. Their work is not simply a matter of preserving tradition, but also of promoting creativity and development within this tradition. These schools have also improved the low status of hereditary musicians, who are now seen both as artists and music educators. 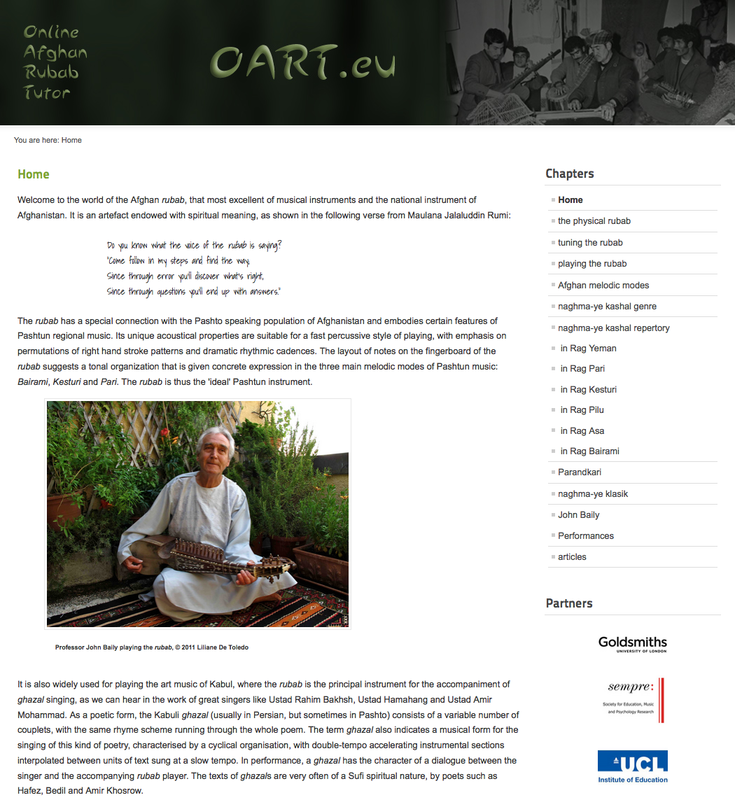 Baily’s research on the global circulation of Afghan music and the scarcity of teaching materials has led to the development on an online tutor for the national instrument, the rubab (a short-necked lute), in collaboration with Dr Evangelos Himonides (UCL Institute of Education), who was responsible for the design and development of the resource. The Online Afghan Rubab Tutor (OART) promises to become a major multimedia pedagogical resource for Afghanistan, with a large collection of notated compositions as well as audio and video recordings, with a role going far beyond teaching people to play the instrument.